I know that in an earlier post here on my blog, I told you guys that I would never in a million years buy a pair of expensive eyelashes. I never really saw the point in buying them and in my opinion, I couldn’t see how they could be any different to a pair that you can get on the high street. I think in the end, curiosity really did get the better of me and I had to go ahead and try these out for myself. One day when I was browsing through the Harrods website, I saw that they had started to stock them, so within a couple of minutes I had a pair in my basket and I was the proud owner of a pair of Huda Beauty Lashes in the style Scarlett. Before I went ahead and placed my order, I did spend some time looking through all of the styles online to find a pair that I thought would work the best for me. Luckily, if you google the name of these lashes, countless images of different people wearing them will pop up, or you can check out the Huda Beauty Instagram because they have all of them on there as well. In the end, I went for the style Scarlett, which are a dramatic and fluttery pair that I have had my eye on for a long time. I wanted these because they are more dramatic than any other pair that I have, and I wanted to try and step out of my comfort zone a little. As soon as I saw the Scarlett lashes, I knew that they were the ones for me and I bought them through the Harrods website. I think these were around £20 when I bought them from Harrods, which is a lot of money, but not too bad when you compare them to some of the lashes that are out there. From the moment I received these, I realised just how beautiful they were. Everything from the outer packaging to the lashes themselves were just presented in a stunning way and I really couldn’t wait to start trying them out and wearing them for myself to see how they looked. Just from removing them from the box, it was easy to see that the standard of the lashes was much higher than other pairs that I have worn in the past. The lashes themselves felt really nice and fluffy, plus the band was nice and thick. To be honest, to start with, I was a little nervous that the band would be too thick and hard to work with. It did take a little bending and manipulating to start with, but once I got them to sit nicely on my eyes, they are a really comfortable pair of eyelashes to wear and I find that the thick band actually makes them nice and easy to apply. When these lashes are on, it is easy to see that they are a very dramatic pair of lashes. They are short on the inner corner and then they fan out as you work to the outer corner to a very dramatic pair of cat eye lashes. If you are doing a deep smokey eye, these would be the perfect lashes to wear because you can still see lid space and your lashes wouldn’t be lost in a sea of eyeshadow. I don’t think that I could personally get away with wearing these on an everyday basis because they are a touch too heavy for me in that sense, but they are beautiful for a night out with the girls. I have worn these Huda Beauty lashes in Scarlett countless times now and they still look as good as new. Every now and again when I remove them, I will gently pull the glue off and run some eye makeup remover over the lash hairs using a cotton bud and then they look like they are fresh out of the packet. I really don’t mind paying expensive for a pair of eyelashes, if I get to reuse them and them still be a really high quality. I will just say to be careful when you are pulling the lash glue off because I have lost a couple of lashes from the outer corner. I am completely addicted to these eyelashes and I cannot wait to get my hands on some more and try them out for myself. I think next up, I am going to have to try the Samantha lashes because they look much lighter and really wispy. As normal, I will leave a link to these lashes down below in case you want to check them out for yourself. 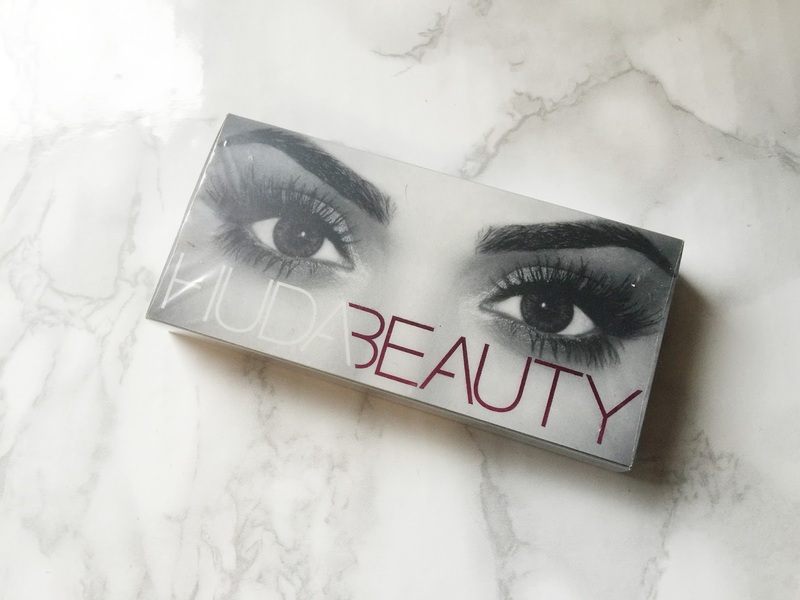 Make sure to leave me a comment down below and let me know if you have tried these lashes or if you are interested in trying out any Huda Beauty lashes! I was so sceptical to start with, but they are amazing! Wow you have had 20 wears? That is AMAZING, I normally get 4-5 out of my high street ones, I think I need to invest now! I know! They are amazing! I really want to try some that aren't as thick and a little more natural to see how they last! I really want to try out more and see how they last, they are such good value for money when you wear lashes everyday!